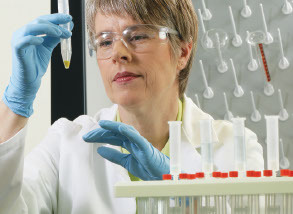 A comprehensive range of powder and liquid stable reagents, and applications for most chemistry analysers. The point-of-care controls can be used for near patient testing in hospitals and physician offices. Also available are urinalysis, hemoglobin and occult blood controls. Patented clinical chemistry reagents optimised for hospital and physician office laboratories. Manual Coagulation Analysers - Helena Cascade Mand Cascade M-4 are manual hemostasis analysers that are ideal for all routine clotting assays - PTs, aPTTs, thrombins, fibrinogens and factor assays. Designed for easy, inexpensive, low-volume testing, these analysers are small in size but big on features, offering you many time and labour saving benefits. Operation is simple and economical.